This column post was written by Dr Alessandro Demaio in his personal capacity. The views, opinions and positions expressed in this article are the author’s own and do not reflect the views of any third party. Additionally, those providing comments on this blogs are doing so in their personal capacity, and do not necessarily reflect the views, opinions or positions of the author. When it comes to obesity in Australia, the statistics are alarming – and generally getting worse. The national prevalence of obesity has increased significantly over the past few decades. Roughly three in ten Australian adults are now obese, with a further 36% classified as overweight. Together, that’s almost two in three of us. Seven in every 100 children are obese (and around one in four, overweight or obese) – an increase from almost zero in 1980. Overweight and obesity are second only to tobacco, in being the largest contributors to Australia’s disease burden. If no further action is taken to curb obesity growth, leading economists estimate a total of A$87.7 billion in additional direct and indirect costs to the Australian economy by 2025. As this public health challenge continues to grow, year on year, it is easy to feel like we are making limited progress. That we are letting the window for close, and failing not only ourselves and our peers – but also the next generation of young Aussies. Yet despite all the challenging updates that crossed my desk this week, three good news items stood out. Here, I share them with you – because to paraphrase a favourite quote, let’s not risk quitting as we look forward at the long road ahead, but also take inspiration from a moment’s glance back, and the many miles already covered. 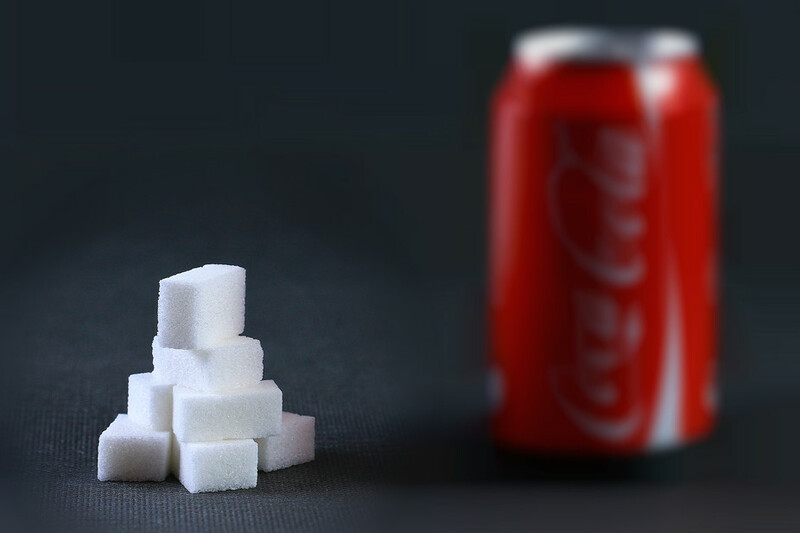 Hot off the press this week, is a new report from the Grattan Institute focusing on the role and impact a “sugary drinks tax” might have on the health of Australians, and our federal budget. Reflecting the building thirst for effective policy, it lays out the evidence for a tax levied at a rate of about 40 cents for every 100 grams of sugar in our drinks. Containing a whopping 210g of sugar (roughly seven times the adult daily recommendation), this would increase the price of a two-litre bottle of soft drink by about 80 cents – but could raise around A$500 million in annual revenue to recoup some of the hidden social costs of obesity. With growing support for smarter policies on obesity, a strenghtening counter-current emerges. Food and politics go together like vegemite and toast, and in this new TEDx talk from the Australian National University’s Dr Phil Baker, we learn the realities and challenges facing us as consumers and our food systems at large. Finally, as someone working in public health to build and advocate an evidence-based case for greater action on obesity, it can sometimes feel a little like “two steps forward, one step back”. For clinicians and GPs working to address obesity with their patients, the tools available can appear similarly lacking. The last piece of good news this week is a recent study published in the prestigious health journal, The Lancet. Despite the sometimes pervasive thinking that a limited impact on obesity can be accomplished in brief consultations with our GP, this new study shows the opposite. Through rigorous research methods, it reaffirms both the importance of strong, well supported primary care – and 30 seconds with your doctor – in bringing in the waistline. behaviourally-informed, very brief, physician-delivered opportunistic intervention is both acceptable to patients and an effective way to reduce population weight. In other words, it found 30 seconds of structured advice and a referral to a free weight-management group, with follow up after from the GP, was associated with 2.4kg weight loss at 12 months. Sounds small, but added over years and in contrast to the usual upward trend of weight, this is very good news. It also supports the thousands of doctors, nurses and allied health professionals around the nation working hard to improve the health of us all. While meaningful action on obesity remains alarmingly elusive – our social appetite for accusations of “nanny statism” or individual blame continue to stagger. But as we near the end of the month that saw an impressive, mounting list of American cities vote in progressive sugar taxes, and a year that saw global leaders and bodies support swift and comprehensive action on childhood obesity – we cannot lose sight or momentum. It can be easy to look forward at the long road in front – yes, it will be long – and falter. But instead, let’s focus on the strong strides already made, the building movement for action and the incredible work being done by so many to move the dial on obesity policy. Posted on November 30, 2017, in Uncategorized. Bookmark the permalink. Leave a comment.